Can you provide an URL on which this occurs? 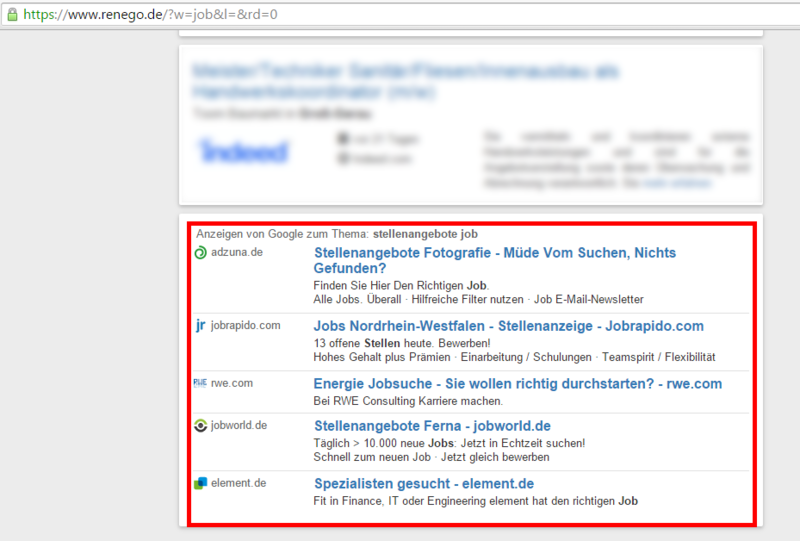 I don't see more than two ads before the organic results. There are 2 Google and 2 sponsored ads at the top of the results. To see the first organic result, you have to scroll down. The proposed exceptions only apply to the 2 ads served by Google. Our criteria state that "Paid search results on search pages are allowed to occupy more space but there should never be more paid search results than organic results". Maybe this applies here? Hi Marijo, I am sorry, that you thing our results are very annoying, where we try to bring the best job result for the search! But if you take a look at the results you will see, that the sponsored results are organic as well and they are not related with the google one. That means you don't need to scroll to see the organic one, you see it without a scroll as well. The blocks are very good separated with different colour or in some times with an separator line and they are more organic results (14) on a page to 5 google ads. I thing such ratio you will find on very small number of sites. Till wrote: The proposed exceptions only apply to the 2 ads served by Google. 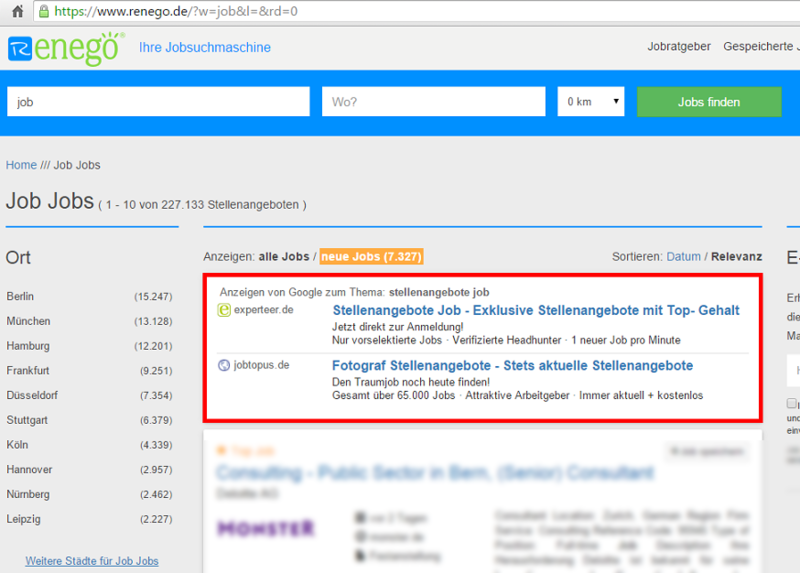 $elemhide also overrides renego.de##.sponsored from EL Germany. nnik wrote: But if you take a look at the results you will see, that the sponsored results are organic as well and they are not related with the google one. If the search criteria applies to the sponsored results as well and is as relevant as the organic results (which it clearly is not with the Google Ads), then I have no objections to the proposed whitelisting.